1995 Hanoverian Stallion, 1995, 16.2hh. Licensed and Performance Tested at Neustadt Dosse in Germany in 1998. He scored 9s for character, temperament, willingness to work and type. 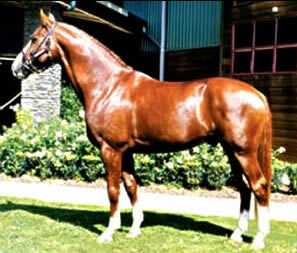 A son of Dream of Glory, Dream Boy was imported from Germany in 1999. His first foals were on the ground late 2000 / early 2001, showing strong type and excellent temperament. Dream of Glory competed at FEI level and his offspring made their mark in Germany, including Dreamy's Dream. Stood at Shelley Williams' farm, North Auckland.